Watermark Beer Dinner « Liquid Assets Limited: Wine & Beer! 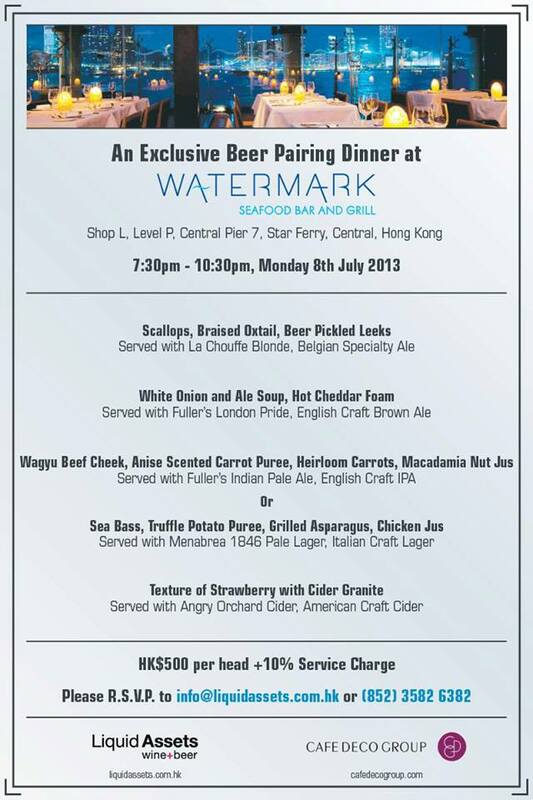 Join us for a special night of beer & food matching at the scenic venue of Watermark Seafood Bar and Grill. With a tailor-made menu by Dominic South, the Watermark Executive-Chef, it will be a night and experience not to miss!